Stacey Sanders is the broker of Weichert, Realtors® - Porter Properties and is President-Elect of Alabama Association of Realtors. 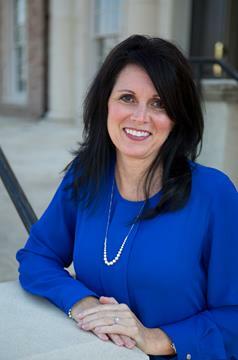 She started her career in real estate in 1997 working with a commercial developer in Auburn. Before joining the Weichert-Porter team in 2008, she was president/broker of Century 21, Paramount Real Estate, Inc. for eight years. Stacey served as the Lee County Association of Realtors (LCAR) President in 2006 and is most proud and honored to have received Realtor of the Year from LCAR in 2007. She is extremely involved in the Auburn community serving in organizations such as Auburn Chamber of Commerce, Opelika Chamber of Commerce and the Auburn City Schools FACES Board which helps provide grants to teachers for their classrooms. Stacey is a graduate of the 2004 AAR Leadership class and is very excited to serve as the 2008 Central Regional Vice President. She is a graduate of Central Michigan University and is originally from Troy, Michigan. Stacey is now happy to call Auburn her home where she resides with her son Slade.